CNN and Casey Neistat said Thursday that they are parting ways, marking the end of a much-hyped, multi-million dollar partnership between the cable news network and YouTube personality. It was less than two years ago when CNN dropped around $25 million for Neistat's video-sharing app, Beme. At the time, CNN said that Beme would be a standalone company focused on producing "timely and topical video and empowering content creators to use technology to find their voice." But that lofty vision never materialized. And on Thursday, Neistat confirmed that he and Beme co-founder Matt Hackett are leaving CNN. Matt Dornic, a spokesman for CNN, said that Beme "will no longer be a standalone business," although the "brand and products will live on at CNN." The network said that it would try to find new positions at the company for Beme's 22 employees, but acknowledged that some people would be let go. Neistat was not immediately available for comment. 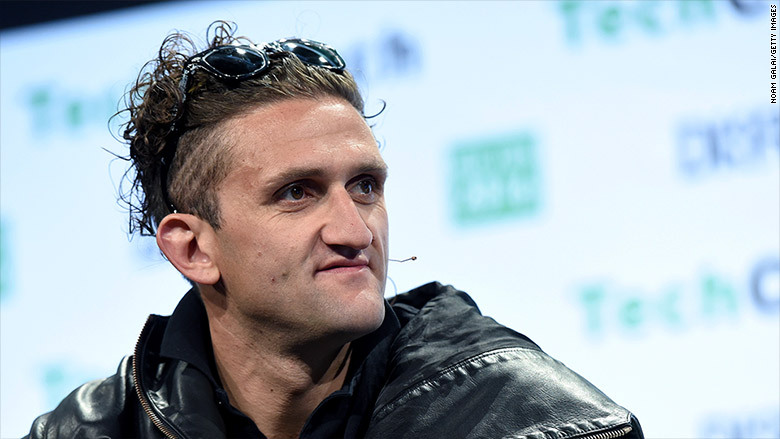 In an interview with BuzzFeed, Neistat said he was unable to come up with a strategy for Beme at CNN, and that he increasingly found himself absent at his own company. "I couldn't find answers. I would sort of disappear, and I would hide, and I would make YouTube videos for my channel because at least I would be able yield something," Neistat said. "I don't think I'm giving CNN what I want to give them, and I don't think they're getting value from me." Neistat launched Beme in 2015 along with Hackett. The app, which allowed users to produce and upload quick and unedited videos, quickly gained a devoted following -- thanks in part to Neistat's online star power. And that early success made Beme attractive to a news organization like CNN eager to reach a younger audience. Jeff Zucker, president of CNN Worldwide, found out about Neistat through his children. In a cover story last year for The Hollywood Reporter, Neistat recalled a meeting with Zucker, who brought his teenage son Andrew. "Jeff says to me, 'You know, we have a huge news operation here; it's a global enterprise,'" Neistat said. "'But my son says that you're the only person who matters in media.' "